I would have said that, but it wouldn’t have been the whole truth. In my mind, yes, but not in my actions—not in my heart. As a mom, I was trying to live up to unrealistic expectations I’d set up in my mind. 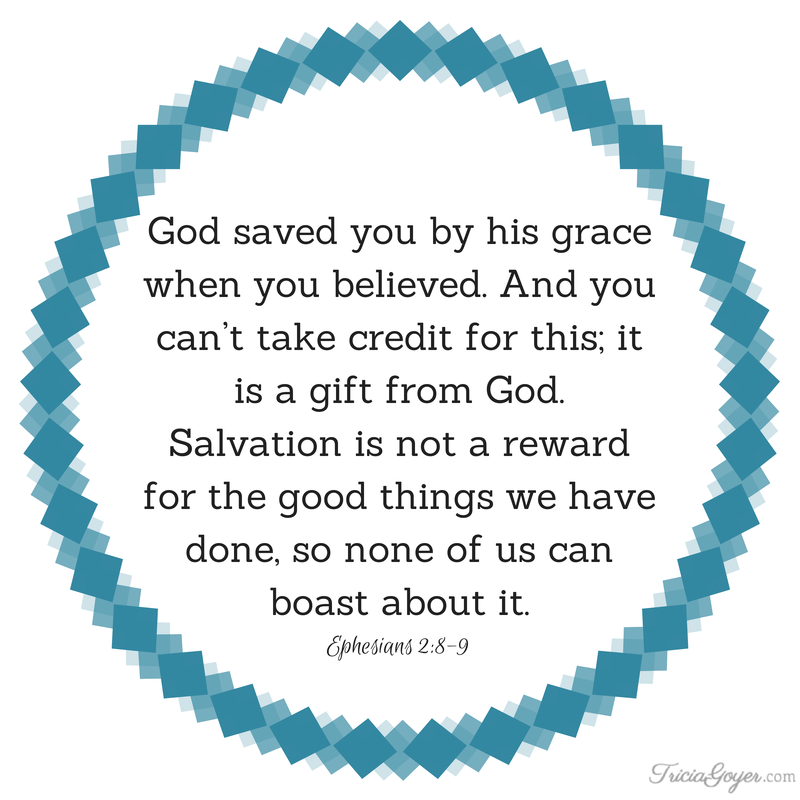 As a mom, I was trying to earn God’s approval, instead of understanding what He’d already provided through His grace. I was enslaved by a busy schedule in an effort to look good, but I’m thankful that over the years God reminded me who I truly serve. 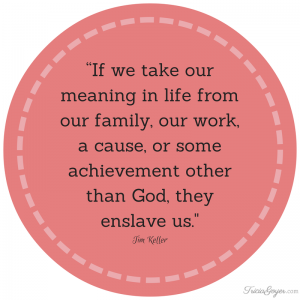 As I’ve sought God, He’s helped me to adjust my thoughts and where I find my meaning. Yes, I’m still busy. I homeschool three kids, write books, blog, speak (on occasion) and lead a teen moms support group, but deep in my heart I’m doing these things as service to God. Deep down I can tell the difference. My kids are only involved in a few activities a week (like Sunday School and Awana) because I prayed about it and God and I feel these things will benefit them—and not because I’m trying to “keep up” with society’s ideas of what kids should be involved in. I can’t describe the feeling of peace that “not trying to keep up” brings. When I think about it, as a mom I’ll never be able to get the approval of others—ever. I can never live up to “their” ideas of what a good mom is, because everyone has a different opinion. 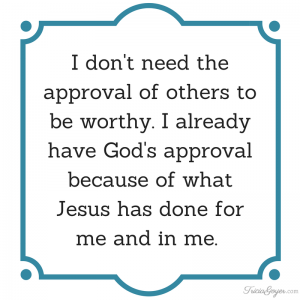 I don’t need the approval of others to be worthy. 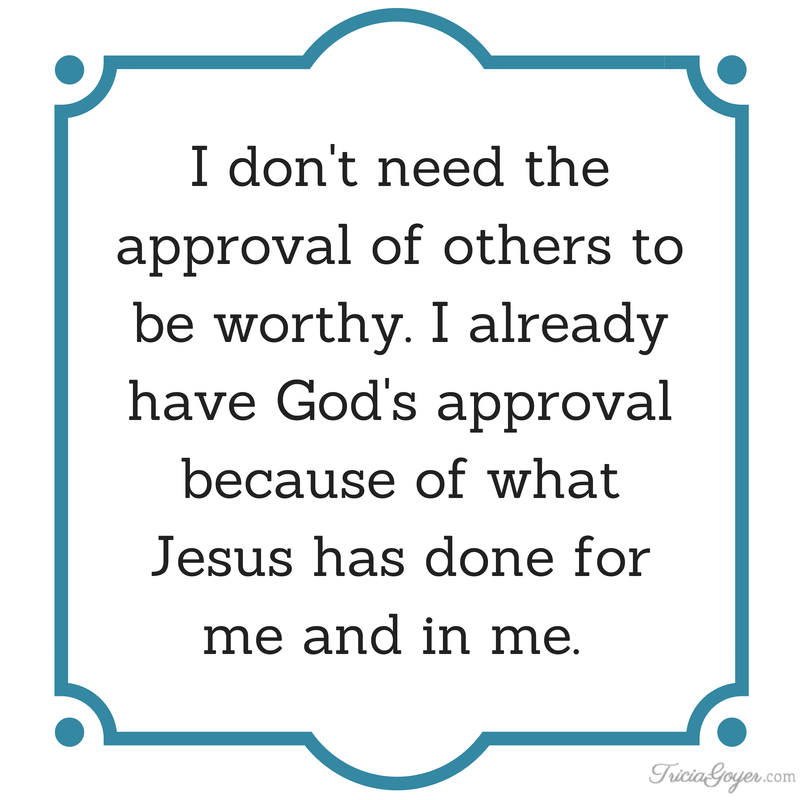 I already have God’s approval because of what Jesus has done for me and in me. God sees me and thinks, “This is my child, who I love completely. This is my daughter, and I am preparing her a heavenly home.” When I live my life out of those thoughts of approval everything changes. Somewhere on the parenting journey it became easy to focus on others. In the process, I pushed God’s grace to the side. Do you find yourself doing that? 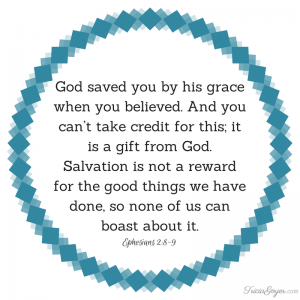 Do you tend to try to take credit for the good things you do or good things you have? Being reminded of grace brings peace to my day. 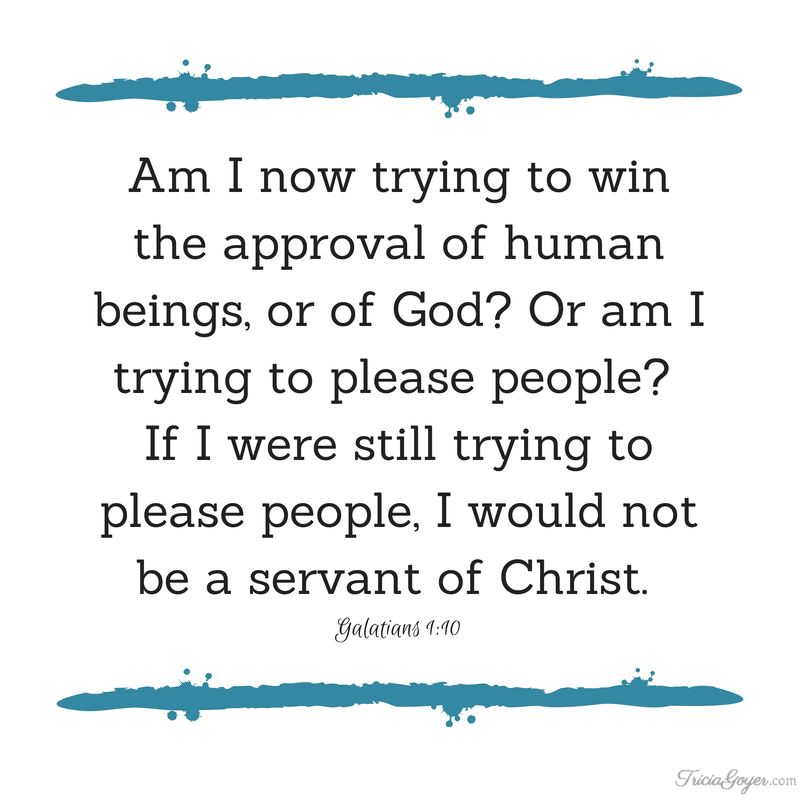 I don’t have to “strive” for approval. Instead, I simply have to accept what’s already been given. Some days I look around and think, “The house is a mess. I have no plans for dinner. 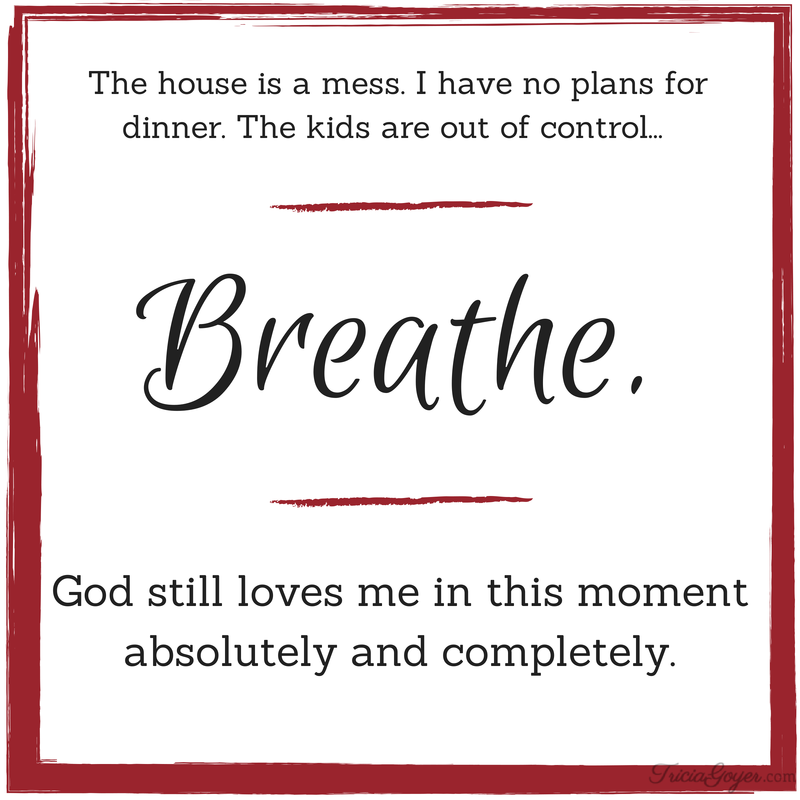 The kids are out of control but God still loves me in this moment absolutely and completely.” I turn to God’s Word and I’m reminded again and again who I’m trying to please. 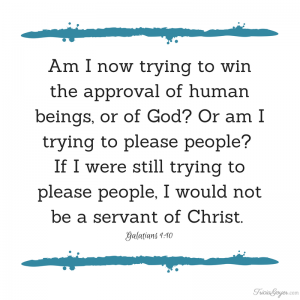 This sounds wonderful—this seeking God’s approval, but how do we get there? “Faith coupled with humility is the secret to every kingdom woman’s success,” says Tony Evans and Crystal Evans Hurst. We need to have faith that as we see God first, He will guide us in our parenting. We have to be humble enough to realize that doing things God’s way means not “keeping up” with the world’s standards. 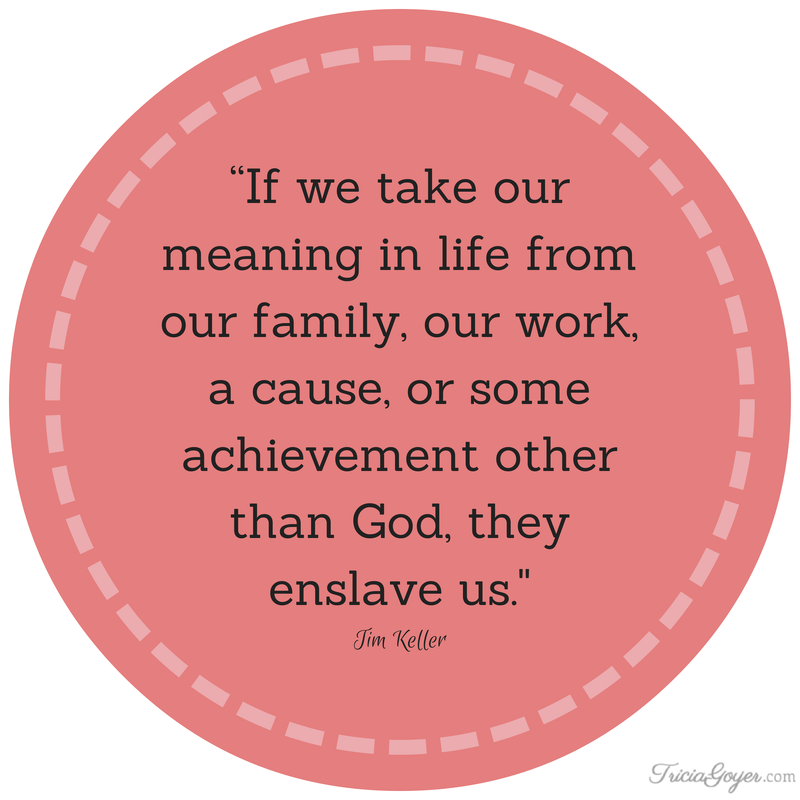 When I focus on God, first as a mom, He will guide me on how to raise children who do love Him first, who serve others, and who will be smart and successful (according to God’s wisdom and idea of success). And this is truly what I’ve wanted all along. 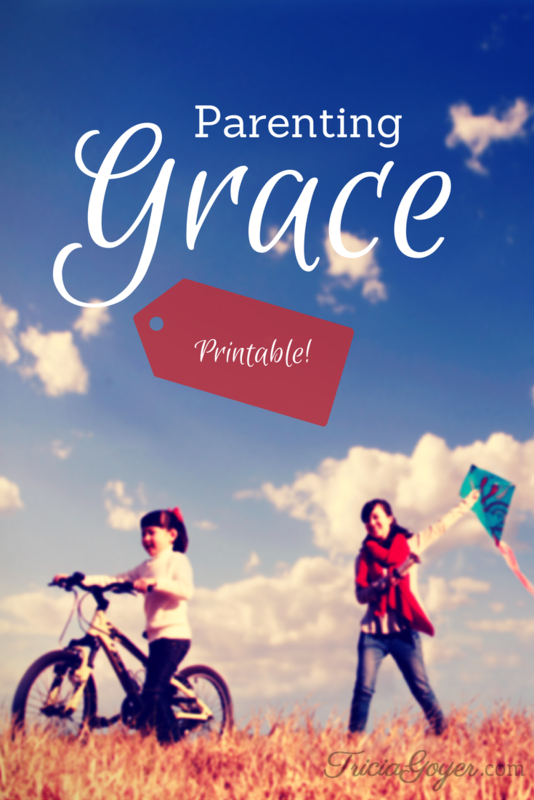 Download the free “Parenting Grace” printable. 4. 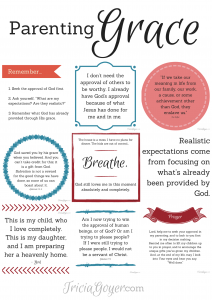 Post these truths and be reminded daily of God’s grace in your parenting. I totally agree and it’s awesome to be reminded that God’s approval is all we really need. Yes it is and I’m so thankful! LOVE this, Tricia!! Perfect to share with other moms!! Thank you for sharing, Rachel! !